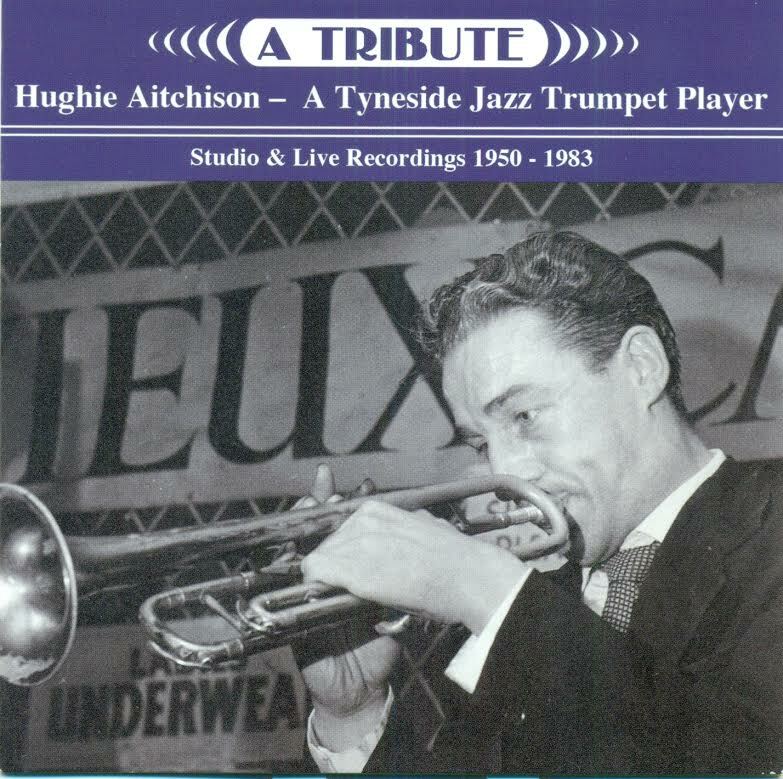 The opening track - Keep Your Feet Still Geordie Hinnie - tells us that this track by Stan Wilde's Wilde Cats couldn't have been recorded anywhere else but in the northeast - Durham Jazz Club to be precise although, where Durham Jazz Club held forth on June 25, 1950, remains a mystery. 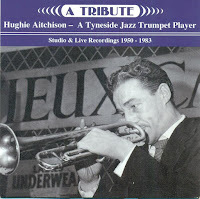 The recording is as good as can be expected with Hughie's driving, Spanier type lead, McLean's trombone - not as smooth as in later years when Kid Ory gave way to Jack Teagarden and Stan Martin reminding us that he discovered Benny Goodman before Pee Wee Russell (in later years he successfully managed to merge the two seemingly disparate styles. Alan Brown, later to form the Panama Jazzmen (or was it before?) kept the rhythm section afloat and, on drums, Gordon Prudham! I knew Prudham from the years he spent working with Ronnie Callaghan at various CIU clubs but hadn't realised he'd been a part of the trad scene but, the adage holds true, if you can play you can play whatever the gig demands. As a matter of non-musical interest, Gordon Prudham made Marshall Walker seem like a stand-up comedian! Marshall will return later. Nick Downing replaced McLean for At the Jazz Band Ball and, I must confess, Downing is an unfamiliar name to me but he did the business here - was he a student sitting in? Questions to be answered!